It can be challenging to hire a company to take care of your driveway paving in New Bedford, especially if you don’t have any experience working with this type of service. There are a lot of options available for New Bedford paving services, both for residential and commercial clients, so it pays to take your time and choose the provider that is best suited for your needs. Whether you require residential asphalt driveways, custom cobblestone options, or are in need of asphalt paving repair and patching services, you should start your search by considering ABLE Asphalt, Inc. With over 30 years of experience in the South Coast area, ABLE Asphalt, Inc. can help you with New Bedford asphalt driveways, as well as other projects that involve asphalt paving, patching, and repair. A good service provider of any type will be willing to provide prospective customers with a list of references for previous clients. But don’t just get the list, call the people on the list. Pick up the phone and speak with those clients and ask them how they like their new residential asphalt driveways. Most people will be very honest about their experience and may even provide you with tips that could save you time and money. Some might even invite you by to take a look. Sure, you might get a few people on the list who are unwilling to help, but for the most part, you can count on the direct honesty of other consumers and homeowners in your area to tell you about their experience with driveway paving in New Bedford and the surrounding South Coast area. Don’t be afraid to ask the owner or sales representative questions about the company. Make sure to ask about the crew, as a bigger crew for laying down asphalt paving is always better than a small crew. Asphalt cools quickly after it is put down, so it is important to have a good sized crew available to make sure everything gets evened out and laid out as it should. If just two guys show up to do a great big driveway, you may want to question them about how they will go about getting the job done. Ask about the materials that will be used, the thickness of the asphalt that will be put down, and about any guarantees that they have for their work. ABLE Asphalt, Inc. guarantees their work for a full year, plus they also offer quality repair and patching services, seal coating, and other options to help keep your aging driveway in good working condition for many years to come. A company that puts down New Bedford asphalt driveways on a regular basis shouldn’t have any problem guaranteeing their work or answering any questions you might have about how they will approach your project. When you start working with a company to provide you with local New Bedford paving services, make sure that you get an estimate in writing. This will help you to compare your quote to other services that you investigate to determine what you will be getting for your investment. A detailed estimate will help you to compare apples to oranges and find the best company for the job. There are a lot of companies that promise quality residential asphalt driveways, so it’s up to you to find out which one is the best for your home and your budget. A contract is another essential piece of paper that will help you out if there are any problems. The contract should state the date that you will receive driveway paving in New Bedford or anywhere else in the surrounding South Coast area. 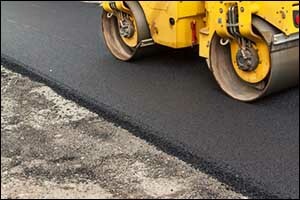 It will also state the date that the work will be completed, provide you with information about guarantees or warranties for asphalt paving, and ensure that there are no misunderstandings about price or when monies are due. A contract protects both you and the company, so make sure you get something in writing before you give the go-ahead to start work on your New Bedford asphalt driveways. Get a FREE Quote from ABLE Asphalt, Inc.
For over 30 years, ABLE Asphalt, Inc. has provided top quality residential asphalt driveways, commercial parking lots, custom design and installation services, as well as professional repairs and patching to clients all throughout the South Coast region. If you are interested in getting a FREE quote for driveway paving in New Bedford or commercial parking lot repairs in Fall River, give us a call at 508-636-9700. We will come out to your property and provide you with an estimate for any of our professional asphalt paving services.